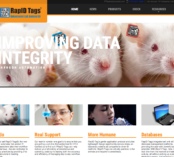 Are Mice the Best Choice in a Lab? The Mus musculus has undoubtedly played an intimate role within the biomedical community. For nearly 60 years, rodents were the standard tool for experimentation and testing. In the modern era, it is only growing more rapidly. According to the American Antivivisection, as much as 95% of animals performed in experiments based in the US are comprised of mice and rats – an approximate of 25-100 million each year. In 2012, the European Union (EU) reports that mice accounted for 61%, followed by rats at 14% in European labs. That means that nearly three-quarters of all animals used in scientific research are just comprised of mice and rats alone. It begs to ask why mice are chosen to be the prime representatives of all things related to human disease. In short, mice are inexpensive, easy to maintain, and can be purchased in large quantities from regulated producers. They breed at rapid rates (in three months, there is already a new generation) and contain short life span, allowing complete analysis and operation on their biological processes at all available life cycles. Because mice have been engineered and standardized, they are nearly genetically identical. Not only does this control for experimentation errors derived from genetic inconsistency, but it also means that studies can be replicated and verified across different laboratories. In addition, mice and human are close cousins - researchers have reported that more than 90% of the mouse genome could be aligned with corresponding regions of the human genome, with each genome containing close to 30,000 protein-coding genes. In other words, mice can serve as a model for human. It gives scientists an opportunity to conduct experiments that will yield important insights into the human anatomy and physiology. However, there are growing concerns about using mice as the primary proxy for human diseases and whether it is impeding new scientific innovation and development from being discovered. The use of animals as the model for human body dates back to ancient Greece, when first recorded intellectual pursuit of anatomy and physiology were focused on the individual function of each organ in a dog. Gradually, it became a research tool for physicians in Arab and Europe. Animal modeling did not contribute to a true paradigm shift of our understanding to human physiology until the sixteenth century onward, when several physicians made separate contributions to the anatomical function of the human circulatory system using different animal models, such as fish and chicks. With each passing century, the utility of the animal model became more imperative to research. In the 1950s, with growing emphasis on scientific mastery to eradicate unresolved human diseases, the federal government decided to focus on producing a standardized research model that could be manipulated and mass produced. Thus, they chose the rodent. 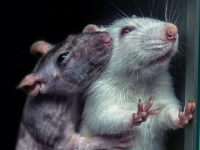 This prompted a large investment in rodent inbreeding, increasing the ability to manipulate different strains and tailoring it to researcher’s experimentation. A series of breakthroughs came in the 1980s, when the direct insertion of foreign DNA in embryos resulted in the first successful transgenic mouse ever created, followed by a successful production of altered embryonic stem cells. The technology was further capitalized to later create the first knockout mice, which allow the deletion of unwanted genes. In 2002, the entire mice genome was decoded, allowing researchers to compare and contrast the human genome sequence to the mice. With the full capability to add, subtract and mutate individual genes from the mouse’s genetic makeup, it gave researchers unprecedented control over the mouse model. Though the government later prioritized the development of additional animal models, such as the zebrafish and swine, the mouse remains the powerhouse for biomedical research. Despite such remarkable technological advancement, medical discoveries appear to be stagnant. In the last decades after reaching the few major milestones, a vast wealth of studies have been published, showing success in a rich profusion of human illness using the ubiquitous mice models. However, there has been very little progress in the advancement of medicine, with only an average of 5 in 5,000 drugs proceeding from preclinical testing to clinical trial. Of those 5, only 1 is proven to be safe enough for FDA approval. While the mice and human genome do possess large similarities, there are spectrums of physiological changes that mice cannot replicate of humans. Tuberculosis is an overarching example of the limitations of mouse models. When TB bacteria enter the human lungs, a layer of granulomas slowly begins forming as a result of the white blood cells and bacteria fighting it out. Eventually, after laying dormant for a period, tuberculosis can suddenly become active and rupture, spreading itself airborne to new hosts while infesting and potentially killing the current host. Unfortunately, when mice are infected with tuberculosis, they do not develop the same physiological responses, including the granulomas, which is an essential component for finding drug interactions. In fact, though studies have recently found that mice can cough, very little evidence shows that tuberculosis is spread in that fashion amongst the mice population. Yet, there are no shortages of attempted studies using mice subjects for finding a cure to tuberculosis. Take the rodent’s shortcoming in cancer research as another example. Mice have no doubt played an important role in defining the mechanism surrounding the formation of cancer. They have been bred to develop various tumor states in localized area, such as in the lungs and pancreas, and mimic the progression. They have also helped researchers evaluate whether experimental drugs are safe and effective in malignant tumors before pursuing clinical trial testing. However, even though an insurmountable number of drugs have shown efficacy in pre-clinical trials using rodents, a vast majority results in false positive in human subjects. The average rate of successful translation from animal model to Phase I clinical cancer trials hovers at a mere 8%, with an even smaller percentage of that ever resulting in FDA approval. 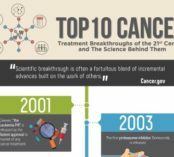 It has been observed that there are essential differences in cancer developments between the transgenic mice and humans, including where the tumor originates, the spectrum of spontaneous tumors, and the carcinogenic risks factors. Researchers have therefore concluded that there are crucial genetic, molecular, immunologic and cellular differences between humans and mice that prevent this animal from serving as effective means to seek for cancer cures. Similar conclusions about the mice model have resulted within other areas of medical interest, including inflammation. When researchers attempted to characterize human inflammatory responses in mice through several methods, such as burns, infections, and automobile accidents, they found that the responses in the rodents were correlated poorly with the human condition. Considering that prior to publication of this study, there have been nearly 150 clinical trials conducted for the use of different inflammatory agents to treat critically ill patients, all of which completely failed to bring any positive results, many are hesitant of whether the seemingly flawless golden boy of animal modeling is reaching its limitation. It is also important to note that in an attempt to cut cost on a restricted research budget, high standards of husbandry are generally neglected in favor of the ad libitum approach. In large-scale laboratories, mice are typically housed either singly or in groups ranging from 2-5 per cages. These cages are generally only 1-3 square feet and covered in bedding. Usually, any forms of stimulation, including toys or wheels, are not present. Ad libitum mice have unrestricted diet, where continuous access to dry pellets throughout the day allows them to eat at any given moment. Without any stimulating activities for exercise, certain strains of rodents can achieve body weights upward to 1 kg and fat mass that accounts for 30-50% of the body weight. One study observed that the average lifespan of rats was increased from 2.4 years to 4 years after adjusting to a reduced energy diet. Various researches have linked obese and sedentary mice to a series of poor health implications, including increased resistance to insulin and risk of spontaneous tumor growth, with decreased immunity and cognitive functioning. Depending on the testing parameters, this can vastly compromise and skew the entire research data. The results found on unhealthy animals that were seemingly at baseline are not easily replicable to more robust mice that do not pose glaring health issues, much less on many human subjects during clinical trials. While confounding factors are currently placing mice and rats under heavy scrutiny from the biomedical community, it would be untrue to state that they have completely run its course for utility. They were, and still are, the vanguard for providing valuable information on possible solutions to human ailments and unprecedented development in the fields of drugs and technology. However, the elephant in the room must be addressed – if an individual gene in mice is manipulated to be identical to a human’s, it does not necessarily mean that the gene function and physiological responses will be the same. The human body is an extremely complicated organism, and we should be careful about establishing a single animal as the primary means of how we study human illness, design new medicines, and learn about ourselves. Therefore, researchers must possess a better understanding of the advantages and limitations of each animal model, and how accurately it will reflect outcomes in human. It is not wise, for example, to use mice as a comparison for olfactory receptors, especially given that they have superiority in odor sensory and discrimination over humans. This scrutiny should also extend to specific rodent strains, as each strain may react differently to the experiments. Studies have also shown that female have biological mechanisms that differ greatly from their male counterpart, such as decreased sensitivity to pain. It may also benefit greatly to ensure that the vendors providing the subjects undergo routine quality checks. Cases of genetic mutations in inbred laboratories can occur between rodents of the same strain, sometimes unbeknownst to the commercial vendor. In an effort to increase transparency amongst the biomedical community, Nature Journal has insisted that authors present the full strain and substrain information, including sufficient details of the lab’s breeding procedures, in their submitted research article. If researchers are not prioritizing basic groundwork for optimal study design and environment, through no fault of the lab animals themselves, it will only serve to perpetuate the weaknesses of the experiment. The National Health Institute (NIH) therefore has brought into attention certain issues regarding reproducibility, citing that many of the failures includes poor training of researchers in experimental design, ignoring crucial experimental design elements, decreasing the practice of presenting technical data and neglecting details regarding animal strains and lab environment. Researchers must take extra rigor to ensure that the design, conduct, and interpretation of the pre-clinical study have minimal error. That includes eliminating biases by implementing research techniques such as randomization (cannot choose the particular animal’s experimentation group) and blinding (person performing the experiment, collecting data, and assessing results should be unaware of the treatment allocation), if applicable. Scientists should also be wary of sample sizes, as it provides an important component to optimal research design. Too small of a sample size may result in population variables that are unaccounted for, while too large of a sample size may squander valuable resources and time, in addition to possible ethical concerns. Moreover, researchers should also put undue emphasis on providing an optimal environment for their lab mice. Various nuances of laboratory settings, such as temperature and lightings, should be adjusted to work with the animal’s natural core temperature and circadian rhythm. Foregoing ad-libitum feeding and opting for scheduled meals while implementing stimulating activities will contribute to a more robust and leaner animal. In addition, stress has been proven detrimental to rodent’s well being – consider minimizing complications by providing painless mouse ear tags and larger cages. All these factors, amongst others, will help minimize errors and yield unbiased results while providing an ethical environment for test subjects. Lastly, conventional wisdom suggests that the biomedical community should compare all the similarities of mice to men and try to replicate human illnesses from the animal model. Perhaps though, it will be wiser to focus on the differences instead. As an example presented prior, mice do not exhibit the same inflammation mechanism as humans do. In fact, when injected with common bacteria, such as endotoxin, they are almost a million-fold more resistant than their human counterparts . But why and how is that possible? Researchers are in the best position to observe and discover how mice are able to counteract inflammation, which, if replicated, can lead to new drugs for treating acute and chronic inflammation in human subjects. This idea can extend to a wide range of research areas (such as resistance to poison), and broaden human’s ability to learn from rodents. Therefore, it is highly encouraged for researchers to re-envision their parameters and goals of their respective studies, and evaluate whether the mice is a fit subject. There is no denying the rodent’s contribution to science – it has proven time and time again it’s worth in forging profound and enduring revelations on human health, and it will most likely continue to do so. Nevertheless, the biomedical community needs to recognize that the mice have natural limitations. This includes making an objective evaluation of the mice model in relation to their study. Moreover, scientists need to consider all necessary frameworks for ensuring the highest standard of research possible, which includes readopting optimal procedures and removing practices that serve as a liability to scientific fidelity. This requires more transparent reports and practices to encourage accountability and reproducibility.